Intel Pentium Processor Dealer Display is made of white acrylic with Blue and Black enamel lettering and has curved base allowing it to stand as an advertising display. Features the classic "Intel Inside" logo. 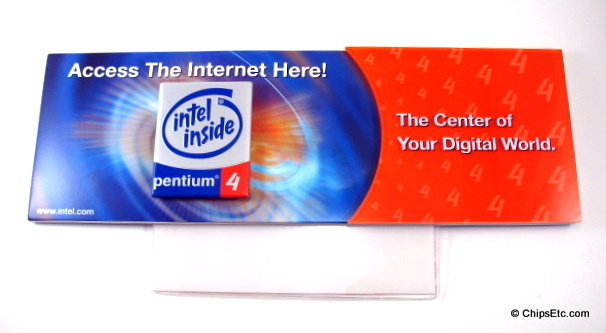 3 dimensional Cardboard dealer display with a plastic Intel Pentium 4 Processor logo attached. 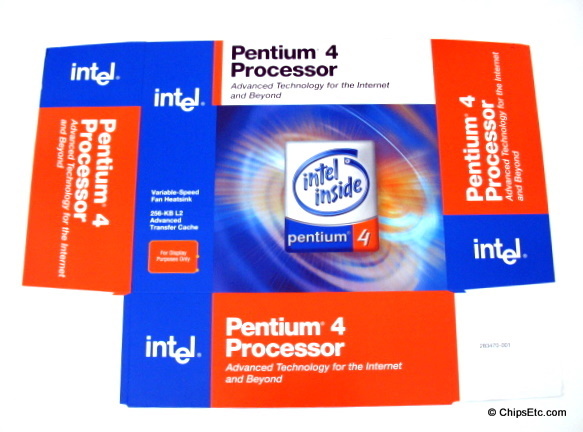 Cardboard dealer display is a large copy of the Intel Pentium 4 Processor retail package box. New / unused / un-assembled box. 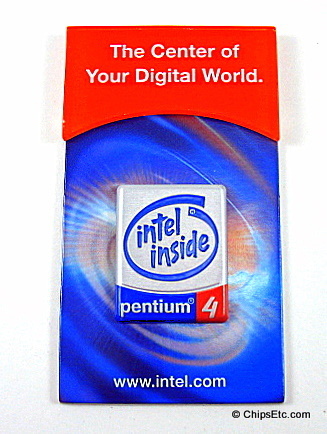 Cardboard salesman's badge for promoting the Pentium 4 Processor. Top section is plastic and reads "The center of your digital world". 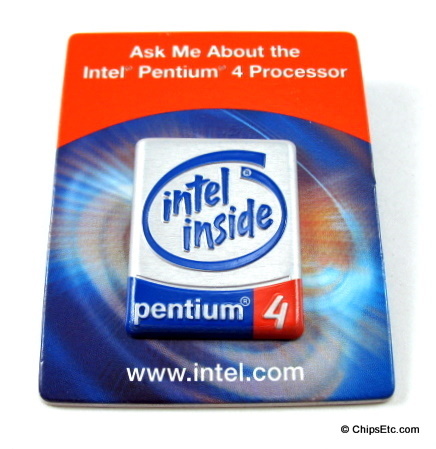 Has plastic Pentium 4 Processor logo. Top section is plastic and reads "Ask me about the Pentium 4 Processor". 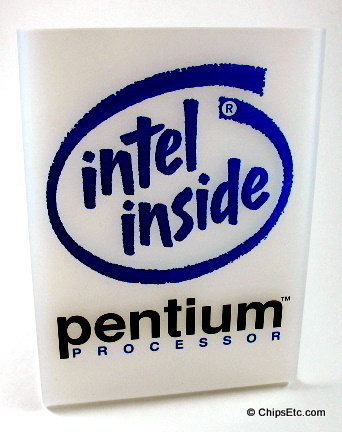 Has plastic Pentium 4 Processor logo.